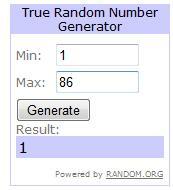 The winner of Petite Leg’s giveaway is Jarucha . Please contact me to claim your gift certificate. A big thank to everyone who entered and Petite Legs for sponsoring this giveaway. I spent a huge amount of time this week to cleaning out my closet. In order to make room for the new Spring items, I posted tons of items on my blog sale. Most of the items are unworn, too big, too small. Some of which I love but really don’t know how to incorporate them into an outfit. If you’re interested, please click here http://plgcloset.blogspot.com/ to shop. You can also navigate by category such as fashion, beauty and jewelry. To purchase: Pls send the total amount (cost of the item plus shipping) to PetiteLG@gmail.com using PayPal service. I can send an invoice to you if you don’t have a PayPal account. I am sorry that I use stock photos for most of my items. I didn’t have enough time to take outfit pictures. If you’d like to see me model a particular item, please let me know. I can quickly take some iPhone pics and send them to you. I quickly took some photos for blog sale items this morning. For those of you who purchased from me yesterday, your item(s) was sent out this morning. Thank you so much for looking and I hope you all have a great weekend! Congrats to Jarucha! And thanks again for hosting the giveaway!